Are you searching for Franconia mosquito control companies that can safely rid your yard of insect pests? Try calling the pros at Complete Lawn Service. We offer a full suite of lawn care and landscaping services, including mosquito and tick treatments. At Complete Lawn, we’ve been keeping outdoor spaces beautiful and healthy since 1972, and our customers continue to love the results every day. 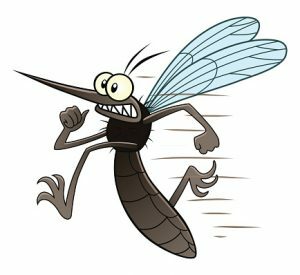 As you would probably imagine if you’re reading this, the warm and humid climate in Franconia is especially conducive to mosquito problems. A major pest control outfit recently ranked D.C. among the top 20 worst regions in the country for mosquito problems. And you’re surely aware of the problems they cause…not just burning and itchy skin, but potentially serious health risks like Lyme disease. At Complete Lawn, we use a thorough and safe process for eliminating pesky insects. Throughout the spring and summer months, our trained inspectors look over your property and will guide you with recommendations for insect reduction. We can apply BT products to your standing water areas, spray the perimeter edges of your property, and spray more heavily in popular gathering spots for mosquitoes, such as underneath porches and decks. Once we’re finished, we’ll monitor insect activity with a glue card. We’ll not only create a virtually mosquito- and tick-free outdoor space around your home, we’ll do it without dangerous chemicals. All of our product sprays are environmentally friendly and your property will be safe to use immediately after we finish spraying. We also stand behind our work with a full guarantee…if you see any trouble, call us within five days and we’ll come out for a re-spray. Stop tolerating the annoyance of biting insects. Call on Complete Lawn today for a price quote and find out more about what makes us the only choice in Franconia mosquito control companies. We’ll make your lawn healthier and safer for a great northern Virginia summer.